All infants, under 1 year old and less than 20 pounds, must ride rear-facing in an approved child restraint. 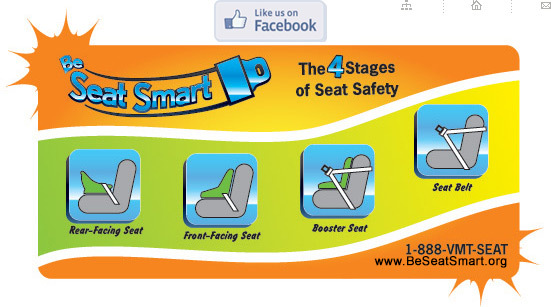 Infant seats must not be placed in front of an active air bag. All children up to the age of 8 must ride in an approved child restraint. All children ages 8 to 18 must ride in an approved child restraint or safety belt system. Rear facing until at least 2yrs. old, longer the better. Stay in the backseat until 13 yrs old. Stay in booster until seatbelt fits properly.